5 Reasons Why You Should Avoid Free Domain [.tk OR .ooo] Many people launch websites every day most of them are students Or those people who want to create a blogging website to spend extra money.Some of them create a site by taking free domain and free web hosting But later they have many problems. In this post we will learn about details about why it should not use the free domain name. Many webmasters do not have money (enoof money) to register domain names and buy web hosting so that they can search free domain name and free hosting on Google. The sad thing is that there is a lot of free domain name and many web hosting providers. Most sites with free domain names are .com, .net, .org instead of giving top level domains are provides .tk .doc, .ou, .mil, .cf, .gay, .gok as domains. Free domains are of different types. Where one you have to purchase a product The second gets the same without any commitments so not use Free Domain. Big company like Godaddy offers free domains to grow sales of its products. In this you get the top level domain free of choice when you buy the product. Many times you can buy the TLDs domain at a very low price but in the next year you have to pay more because Godaddy does this every time to her every customer. Some companies offer free domains without any commitments but rather than giving top level domains he can give .tk OR .ooo Domains. There is no problem with the first free domain of these two types and if you get a top level domain then there is no problem. But free domains such as .tk you should not to be used. People come to the greed of this free and think that what is the need to pay when we are getting everything in free.But one truth I can tell you is to find a site that is free with the free domain. I think you will not be found. Just think the register in the web server and domain name management, the registry, the accounts. Charges and costs of office expanses salaries So how can a company give you a free domain ? Now let me tell you the reverse of not having a free domain name, why not use free domain,Reason for not using the free domain. The advantage of doing a free domain that is you do not have to pay for registration of the domain name but there is a lot of loss There are many reasons that make clear that we should not use the free domain name. Loss you using Free Domain. Usually, when you register a domain you are the owner of those digital assets. You can rename that domain, You can change any contact details, you can host the domain anywhere According to your wishes you can rename and transfer the domain. But when you buy a free domain from a company you will not be a technical domain owner. This means that once the company can take you back to the domain anytime and he can transfer that domain to anywhere Or he can delete the domain without your consent or permission. User trust is very important for every business most online business. Free domain name i.e. disposable domain business is not the best bet for the brand. Very few people would like to visit .ooo domains, instead they would like to visit any.com site and if your target visitors are educated. So they all keep knowledge about it that means your business does not get success. The free sub domain is another way that companies do it and fool Nube. Newbie does not know the difference between sub domains and domains and he understands subdomain as the domain name. Although some subdomain websites are service better like Google's Blogger.com service but not at all because without Blogger Blogspot Many web sites have cheats in the name of creating subtitles on sub domains. The search engines are very smart they easily find out that you are using a free domain name that is technically disposable domain name. If you use low level domain extensions then Google will rank higher than the top level domains. If your domain is the country level domain such as the domain of .Ml that is Mali Country which is free. Now if you build a site with domain name and share English content on it then think about how it will rank. Working with a website with a free domain name means trusting by knowingly and without knowing it. Who does not trust when he leaves with you. One day it costs. I understand you with an example. 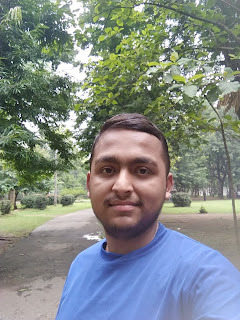 Rohit is a student and he has a good experience of technology and knowledge and She wanted to start a blog for online earnings and its interest. He started the website with a free domain and started working on it. In the next one year there are 500 solid articles on his site which he has written hard working and he is also doing good earning with Google Adsense. One day he gets a mail saying that "his domain name has been transferred to someone else or it has been deleted". As soon as Rohit Mail reads he is open his site in the browser he sees the domain company's ad instead of his content on the site. After all the hard work of Rohit had got water again now he had nothing income has become. Now Rohit came to understand that the company took away his hard work of 1 year and now he is taking advantage of the earnings So this is the real cost of free domain. Many people do not have any problem with free domains. Actually, very few websites with free domains are succesful and failed site domain from any company that does not appear to be available. That mean they can target successful websites. So These are 5 major reasons which prove that the free domain name you should not be used. Avoid free domains and free web hosting service and create a site by visiting the domain name you can take the Domain from Godaddy under 500.